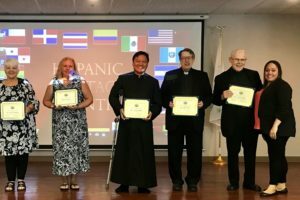 At the opening of Hispanic Heritage Month, an organization in Kankakee honored Fr. 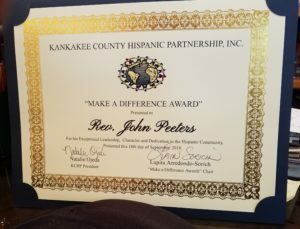 John Peeters, CSV, for his exceptional leadership, character and dedication to the Hispanic community living in the Kankakee River Valley. Officials with the Kankakee County Hispanic Partnership are committed to empowering members of the Hispanic community by providing access to available resources and services that will improve their quality of life. 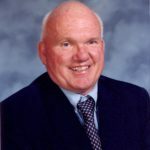 They strive to reduce language barriers, provide access to quality health care, find ways to secure economic assistance and identify ways for family involvement in the community. including St. Mary’s Hospital and Riverside Medical Center. “He’s just always available to the Hispanic Community, whenever they need him,” says Associate Marilyn Mulcahy, who works in the office at St. Patrick Church. 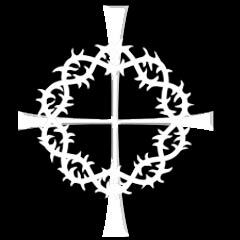 Another Viatorian, Fr. Mark Francis, CSV, accepted the Community Partnership Award from the Interfaith Committee for Detained Immigrants. 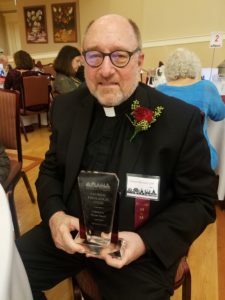 The award was intended to thank the Catholic Theological Union, of which Fr. Francis is the president. The college regularly sponsors programs and speakers related to immigrant ministry training as well as academic courses in the Hispanic Theology and Ministry Program.